Welcome back to another Thoughts for Thursday. Remember you can write about whatever you want to, just grab the button and link up below! There are so many things I'm loving this week but I had to start with one of my new favorites. 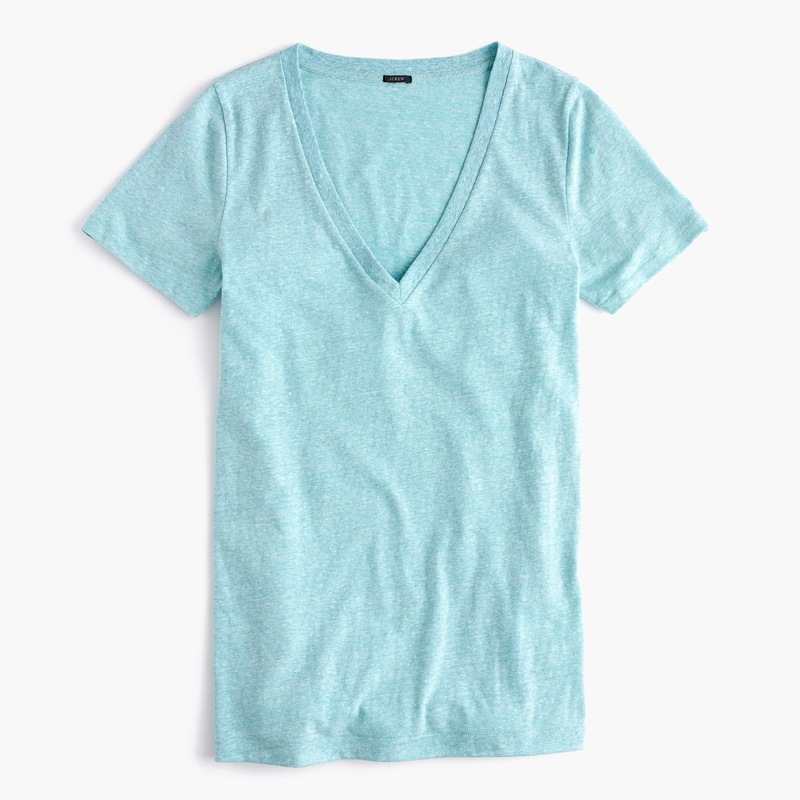 If you're looking for a new v-neck tee this is it!! Last week I mentioned how much I loved the J.Crew Perfect fit style shirts, well this top is the perfect combination of the perfect fit and the vintage tee. It's not as thick as the perfect fit and not as thin as the vintage tees. It has the perfect amount of drape to it. 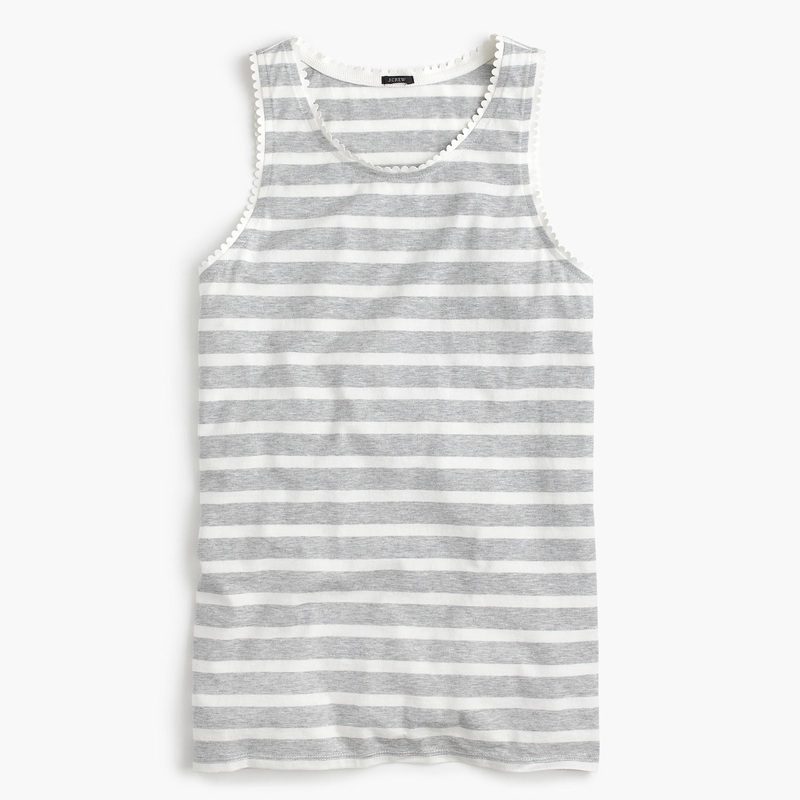 The only downside is that it only comes in three colors, hopefully J.Crew will wise up and make more. How sweet is this swing dress? 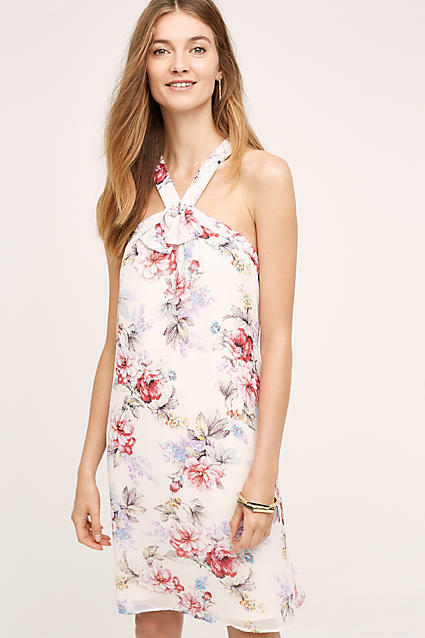 I love the feminine floral print and neckline of this dress. How cute are these? 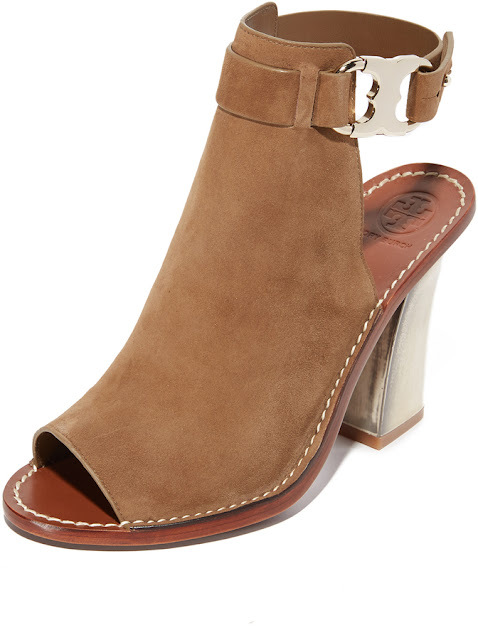 I've been lusting over these sandals but I just cannot justify purchasing them. I have no where fabulous to wear them, so if you do, go get them and let me know how amazing they are. 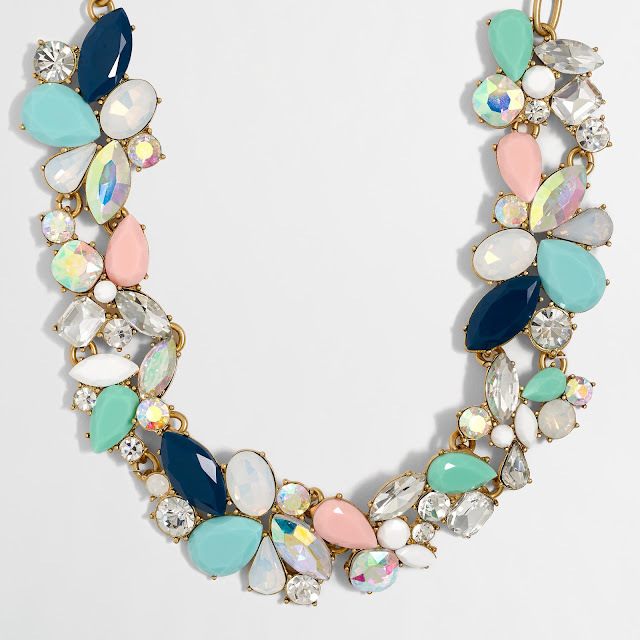 Loving the pastels, navy, and (faux) diamonds in this necklace. It could dress up so many outfits. Love this beach cover up!! I wish I had discovered it sooner so I could have snagged it for our beach trip next week. 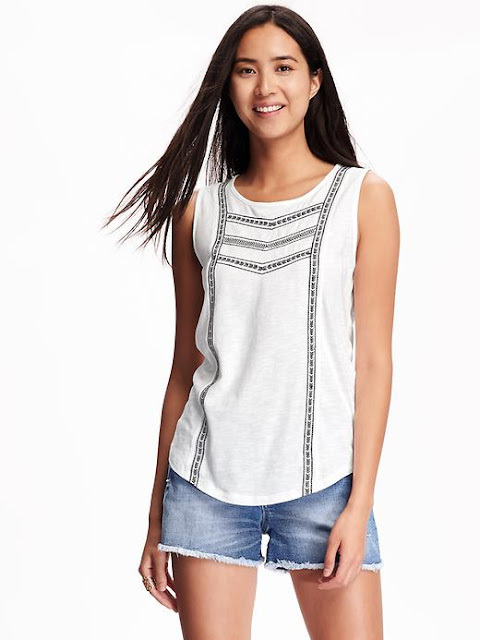 ON has had some great tank tops this year and this looks like another good one. I love the embroidered detail. 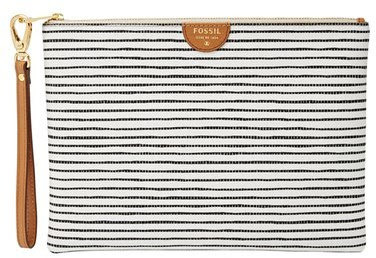 A fun classic stripe wristlet. For some reason I love the idea of the wristlet lately, maybe because I'm always setting my clutches down and than having to look for them. How cute is this eyelet drop waist dress? It comes in blue and white but I'm loving this fun baby blue color. Another adorable white off the shoulder top. It's taking all myself control not to put this in my shopping cart and his buy. A little leopard love for summer! 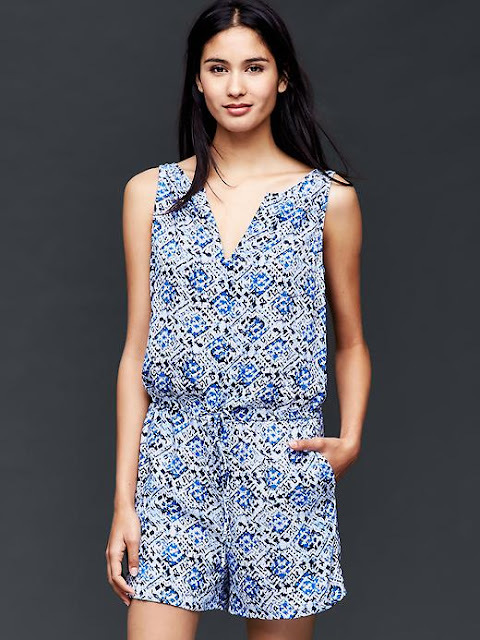 This romper!! The length and cut reminds of my beloved J.Crew Factory one from last year, plus the mosaic print is so fun. Love love love this top. The cut is so flattering on and scallop faux leather detail around the neck is a nice added touch. 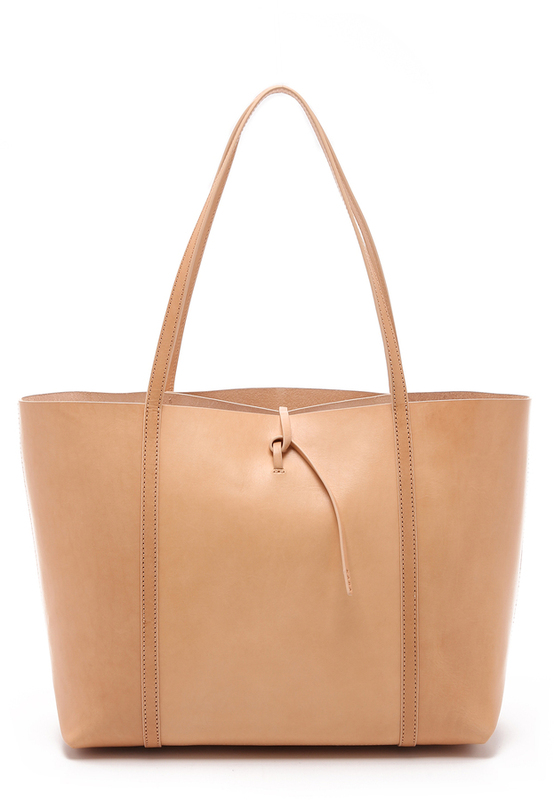 Such a classic leather tote for summer. I love the tie loop detail and the unlined inside. So not practical for me but one day. Since my bathing suit shopping has been depressing I ordered this one to try before we leave Saturday. It gets here tomorrow (nothing like last minute) and I'm hoping it works. To be honest I'm not crazy over the print but I still LOVE my Trina Turk suit cut like this from last year so I'm hoping I'm going to love this one too. For my tall girls- this one is great for us with long torsos, no pulling. It also helps that it's onsale! Love the feminine eyelet and ruffle detail on this peplum top. I think it would be adorable paired with skinny jeans and sandals. I couldn't leave you without another blue and white dress this week since I'm #obsessed . The cute and detail of this has me swooning but again no more white and blue for me! 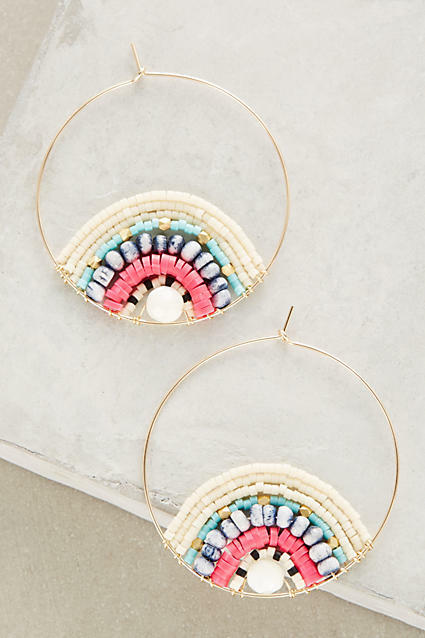 How fun are these hoops?! I'm totally on the big earring bandwagon and I love the beaded detail of these. So what are you obsessing over this week!? I literally love all of these things! That swing dress is so pretty and feminine! Seriously swooning over your picks!! J.Crew has the best summer goodness!! OMG, I love every single one of your picks, especially the white dresses with blue embroidery! SO beautiful! So many fabulous picks! Especially loving that Paper Crown swing dress and that J Crew necklace - so pretty! So many wonderful things! Can I have one of each please? So many pretty pics, the floral dress is beautiful! Thanks for hosting the linkup. Those hoops!! So stinkin' cute! I'll just take one of everything please! Need to go check out that t-shirt...like I need another one, haha! J Crew necklaces are always a win!! lovely picks, esp all the cotton tops, that ruffled peplum top and those flats! so cute ! I think I need you to be my personal shopper...I always love every one of your picks! You've found so many fabulous pieces this week! Love the leopard flats and ruffled peplum top! Ahh so many pretty things! Love that Little White Lies dress! Appreciate you linking with me today. Shared this on Instagram today. I need all the things! So many cute things! I adore the statement necklace, the lace off the shoulder top and those hoop earrings. So perfect for the summer! I love that statement necklace and those tank tops! You picked a lot of great picks! Your post will be featured on next week's Party at My Place as one of the MOST VIEWED posts. Hope to see you back on Thursday! I am swooning over that bag, it's so gorgeous and I also wish I had someplace fabulous to wear those glorious sandals!